Sharma, N., Drain, D., Cudney, E., Ragsdell, K., Paryani, K. (2008). Predicting Customer-Expectation-Based Warranty Cost for Smaller-the- Better and Larger-the-Better Performance Characteristics. Journal of Industrial and Systems Engineering, 2(2), 97-113. Naresh K. Sharma; David Drain; Elizabeth A. Cudney; Kenneth M. Ragsdell; Kioumars Paryani. "Predicting Customer-Expectation-Based Warranty Cost for Smaller-the- Better and Larger-the-Better Performance Characteristics". 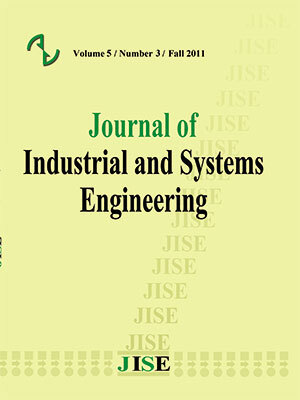 Journal of Industrial and Systems Engineering, 2, 2, 2008, 97-113. Sharma, N., Drain, D., Cudney, E., Ragsdell, K., Paryani, K. (2008). 'Predicting Customer-Expectation-Based Warranty Cost for Smaller-the- Better and Larger-the-Better Performance Characteristics', Journal of Industrial and Systems Engineering, 2(2), pp. 97-113. Sharma, N., Drain, D., Cudney, E., Ragsdell, K., Paryani, K. Predicting Customer-Expectation-Based Warranty Cost for Smaller-the- Better and Larger-the-Better Performance Characteristics. Journal of Industrial and Systems Engineering, 2008; 2(2): 97-113. The quality loss function assumes a fixed target and only accounts for immediate issues within manufacturing facilities whereas warranty loss occurs during customer use. Based on the two independent variables, product performance and consumers’ expectation, a methodology to predict the probability of customer complaint is presented in this paper. The formulation presented will serve as a basic model for predicting warranty loss for larger-the-better and smaller-the-better characteristics which is dependent on both product performance and customer expectation. As an example, warranty cost is estimated for automotive disc brakes to demonstrate the methodology for the smaller-the-better case. Another example of solar panels is considered for demonstrating the prediction of warranty loss for the larger-the-better characteristic. Blischke W.R., Murthy D.N.P. (1993), Warranty Cost Analysis; Marcel Dekker, Inc., New York. and Quality Engineering; John Wiley & Sons, Inc. Publication. Gal-Or E. (1989), Warranties as a Signal of Quality; Canadian Journal of Economics; 50-61. Journal of Quality Technology 36; 129-138. Taguchi, G, Chowdhury, S, Wu, Y (2004), TAGUCHI’S Quality Engineering Handbook. Missouri University of Science and Technology.